Istanbul (AFP) - The number of refugees from Iraq's Yazidi religious minority who have fled to Turkey from the advance of jihadists has risen to 16,000 and may rise further, a top provincial official was quoted as saying Saturday. The number marks a sharp rise from the figures of several thousand previously given and shows Turkey is dealing with another major influx of refugees as it gives sanctuary to some 1.2 million fleeing the Syria conflict. The Yazidi refugees have fled to the southeastern Turkish province of Sirnak bordering Iraq to escape the murderous advance of Islamic State (IS) jihadists who specifically target their community. Some 2,000 Yazidi refugees have entered Turkey through legal border crossings and another 14,000 through other routes, Sirnak province governor Hasan Ipek was quoted as saying in a statement by his office. "They are being provided with all kinds of health services and three meals a day," he said, admitting that the sanitary conditions in the schools and homes were they were staying were "unfortunately" not always up to scratch. 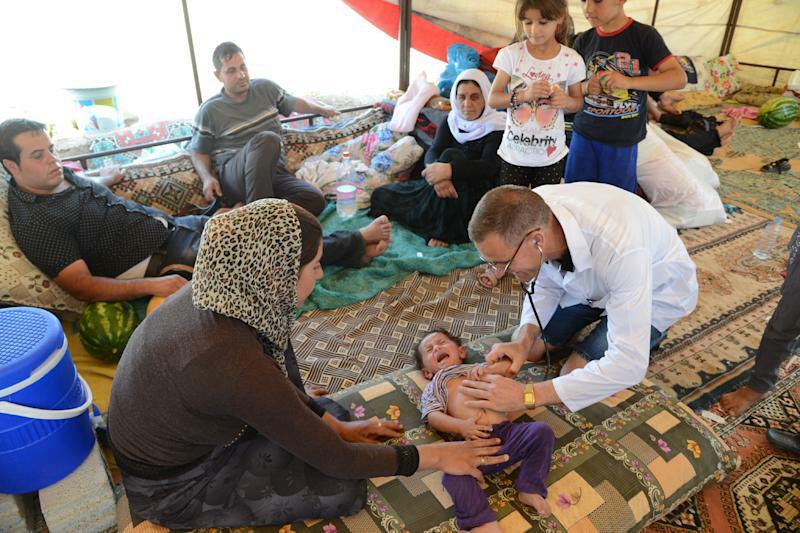 Turkey is already setting up a refugee camp for Yazidis in the town of Zakho inside northern Iraq and Ipek said it had to function well, "otherwise we are faced with the prospect of 40,000 (Yazidi) refugees entering Turkey." 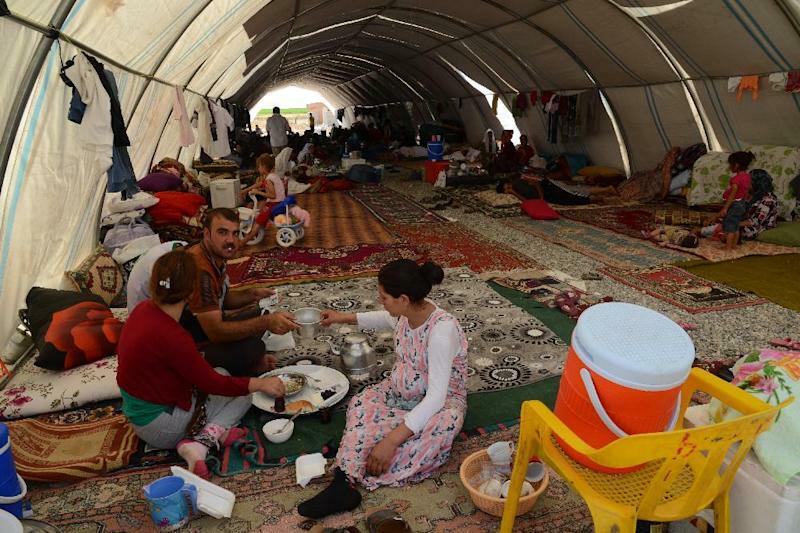 NTV private television reported meanwhile that a tented camp was being set up in Turkey's Diyarbakir province to the north of Sirnak for 3,000 Yazidi refugees to help accommodate the new influx. The Yazidis are on the run from jihadists who scorn them as "devil worshippers", a term the Yazidis themselves angrily reject. Turkey's new President and former prime minister Recep Tayyip Erdogan has said that Turkey is the "only country to have opened its doors" to the Yazidis. Turkey's hosting of the Syrian refugees in line with an open door policy spearheaded by Erdogan has already become a source of friction with local residents.